This blog post contains some common blogging fears of a blogger, and I’ve provided some actionable tips to avoid them. Bloggers face many obstacles in their path of reaching success. “FEAR” about some familiar things would stop them to thrive in blogging. Also, it is considered as a major complication to achieve the victory in blogging. Let’s discuss some first blogging fears of the bloggers and read my wonderful tips to overcome them. 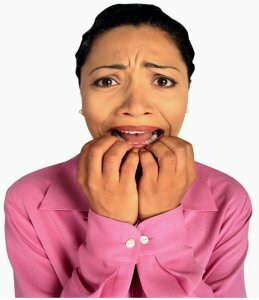 Below are the six worst blogging fears to be avoided by the bloggers. 1. What will people and other bloggers think about my blog posts? It is the common fear for most of the bloggers. I am saying that “blog is your diary”, you can write whatever you want, but you should write what you know and should be familiar with your content in the blog post. Spend some quality time daily to learn the information related to your blog and keep writing quality blog posts. Try to connect your readers and followers on an emotional level. They would be loyal to you, remember you and return to your blog again. 2. Whether the visitors read my blog posts or not? It is the right fear of a blogger! I am signifying that “If a blogger has this question in mind, then he/she should find the answer for it” am I confusing you? If you are engaging the audience with their needs, then they never skip your posts without reading. Make a research on the need for the audience and create the posts based on it to make the visitors know your content until the end. A blog is not like a official newspaper. You can add some useful links and graphics related to your content to make the readers find your post useful. Create small sections to scan and use various heading sizes with good color. 3. How and where to get the different blog post ideas? It is the mutual fear among the bloggers. If you are running out of things to write about, then I am saying that you are not reading much. So practice reading the other posts and the information related to your niche. The best inspirational blogs are those which contain fresh, compelling and unique content by converting the conversations in the forums, advice from experts and examine your weblogs. Assemble the great people/links related to the niche, consolidate your best posts, interview with senior people and request the readers to leave question linked to your blog, and then convert it into the blog post with a detailed answer. Also, search your competitors, have their subject matter in mind, write the blog post with your words and give a better title for it. 4. Whether I will make money with my blog or not? Hope you don’t have this fear if you are blogging for fun, hobby and not for money. Have confident that you are doing the right things clearly in your blogging way. Proceeding the blogging inch by inch with a passion for six months of continuous work could help to see the fruits. If you are on the wrong track, then find the best route to proceed, as patience is the key to reach the blogging success. Read as much you can, look out new ideas, bring out high-quality posts, promote you blog/blog posts through natural ways to reach the target audience, don’t give up and finally you’ll succeed in money making. 5. How to please the search engines? I feel that it is a proper fear of a blogger. Search engines like to deliver worth and relevant search results to the users. Also, it would bring free organic and targeted traffic to a blog. So it is good to create the search engine friendly posts by catchy title with a most searchable keyword, interlinking the relevant posts and adding images or videos. Build up good quality content by improving the grammar & writing skill and do not stuff the keywords in your content. Also, target the niche keywords with low completion, focus on the end user and don’t spend too much time to please the search engines. These objects would improve the SERP. 6. Am I writing something that has been already written by many? This fear does not belong to the blogger who is having the tendency to create the posts with unique and interesting information in their blog posts. I am suggesting that “No one else can bring the voice like you in the blogosphere”. So admiring the great bloggers is good but their writing style should not be copied. Focus on your blog, stick to its subject and just write the information that is authentic in your unique style with good clarity. Nothing wrong in writing about the popular topics. Write with your words, your style with your voice. This would create the reader’s attention on you, they would like your way and might feel that you can write better. Also do not focus on readers. Instead, just focus on their needs, help them and try to solve their problems by giving solutions in your blog posts. All bloggers have dreams and goals. Fears are the shadows along your path that make you to do better blogging and finally aid to achieve the objectives. I hope that these discussed fears may involve in blogging, but the search of answers to these fears would help the bloggers to reach the everlasting success. If you try the shortcuts, you’ll let your blog destroy. I’ve discussed these fears for the wellness of bloggers, so I’m requesting you to share some tips for the fears and don’t share your blogging fears. It may demotivate my readers and get more fear about blogging. What do you say? Bloggers especially newbies fear a lot when they blog. Actually there is nothing to fear about. Bloggers should keep working hard, focus on creating quality content to become successful. No one is perfect and everyone in this world need not like your content. Write for people who are loyal to you and want to read your content. Don’t think too much about others. You cannot change their interests.!! Convert the fear into confidence! You can do this by reading Success Stories of some great bloggers, or inspirational blogs. Nice thoughts from you Thejas, thanks for sharing it for my readers. As you told that the bloggers should not think much about others, they should concentrate on their readers need. Keep reading! #1 The day I overcome the fear about how and what others will think about the content, I really felt relaxed and the creative juices started flowing. #2 The notion that blogging will help us earn money overnight has to be removed from the mind, here the patience is the virtue and one has to display that. #3 We can always write about anything but it should be relevant for others. Thanks for this great share Nirmala. Have a great week ahead. Your points added a great value to my post Sapna! Thanks for your answers for blogging fears! Am happy to see your comment here :), keep doing! Persistence is the key. if you are passionate and have zeal to make it big on the internet, than nothing can stop you. People are bound to love you. Good to see your comment here Rashmi, thanks 🙂 ! Yes, both Passion and Persistence are vital for blogging! Am very happy to get your comment here, many thanks 🙂 ! Thanks for the appreciation too! It paves the way for me to write more quality posts, Please keep visiting here and leave your valuable comment! I like what you wrote about the blogging fears, which are common with most of us. Not to mention the much required magic tip as well. Oh yes…some people do have these fears and that becomes a hindrance in them blogging freely. I would say just go ahead and write – it’s your blog and if you have a voice that needs to be shared – then nothing should stop you. Yes, take care of your grammar, a little bit of SEO so that the search engines get to know you, and of course social media for your presence. These basics are enough to get started. 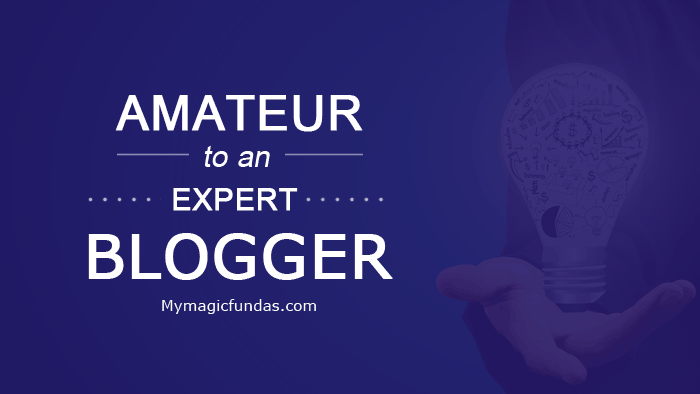 Thereafter, the more you read and learn from other blogs and fellow bloggers – the better you get. I agree, you can easily make your blog more attractive by using proper fonts, headlines, even images that add more meaning. Making money from our blogs shouldn’t be priority I feel, though if you are good at it – the money will come. Keep the patience and have faith in your abilities – isn’t it? It makes sense to blog about what you know best and not try and copy others, because then you slowly become authority in your niche, though it happens again with time. Welcome to MMF Harleena! Am really glad that you left a valuable comment here 😛 ! Many thanks for visiting and reading the post! It is good that you have agreed my points and shared your answers for the blogging fears. Hope this would help my readers to perform better in blogging. Yes, having patience and faith would make the bloggers to succeed in making money by writing what they know best. After reading the final stage of the your comment, hope that the newbie bloggers would feel more confidence to proceed. Nice to see your comment here Mehul, am glad and thanks 😛 ! Yes, as your told, most of the bloggers begins their blogging life with doubts and confusions. This can be prevented by reading more information related to their niche. Glad to see your comment King! Thanks for your blogging advice for my readers. keep visiting and commenting! Yeah, I have provided the information for the newbies to get rid of the blogging fears. Thanks for reading my magical tips and appreciation comment, Keep visiting! Nice to get your comment, keep coming here! Great ideas for blogging. Overcoming fear and just start-doing-it will teach a lots of things, and helps improve gradually. Ultimately it is passion and hard work that naturally brings success. And I am new here, am glad to find your blog. Keep writing! Totally agree with you that overcoming the blogging fears would help the bloggers to learn lot of stuffs. Yeah, interest and dedication are essential in blogging. I agree with you about the fears. I think it appears in everybody’s thoughts. earing criticism, worrying about what others would think…..until I became so busy posting articles and videos that I forgot about negative feedback. My tip for #6 is to write from one’s own experience. When we share our challenges and how we oercame them, that is a unique story. It’s been a great visit to your blog, learned much here from other posts too 🙂 These fear are mainly in the newbie bloggers who have just started their blogging career. Ain’t it? When I started blogging, I was afraid of sharing my blog with my offline friends and if the school teachers have asked me to share it I felt shy to do so, just because I am not confident with my blog. These small things stops newbie to make money and become pro. Isn’t it? One should not think about making money from a blog just after starting it, he/she should give good time to that blog and be sure to provide quality to his/her readers. This will ultimately generate trust and Money. Is it same with you when you started blogging? I will be glad to know about your experience. Thanks for taking time to check my old post and share your thoughts. Yes, newbie bloggers have more fears and thus they give up soon. As you said, we need to work smart and think creative to bring out the blog posts for our readers. Once we started to gain credibility, money will fill out pocket. Thanks again, you’re always welcome to share your views here! That’s great, you were not having common fears which I was having 😛 . It feels good to read experience of someone bigger than us in our Industry. So It is my kind request, please start sharing your experience with blogging till now in your later blog posts. 🙂 That will be great and many others will like that along with me. Can’t agree more with #4. Haha! That’s the BIGGEST single thing I always hear from blogger. I don’t make money, I want to make money, how to make money. The fact is, blogging is more than just making money. If making money is something important for you in blogging, chances are you will fail. Yes, if we focus to make money at the initial days of blogging, we would fail to create a brand name and reputation. Actually, the first time I think a lot about this..! However, after I learnt from blogging and never care about that. You know..? it is almost 6 month that I wrote my blog post without research the keywords..! I just tried to make the keyword friends, and meaningful reading and then that it..! 🙂 thanks for sharing..